Greggory Roy Maddox was born in Pontiac, Michigan. He is the oldest child of the late Roy and beloved Zeolar Maddox. 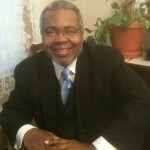 Pastor Maddox received his secondary education at Pontiac Northern Senior High School in Pontiac, Michigan where he distinguished himself as an outstanding student. He is the recipient of a Bachelor of Arts degree in History/Political Science with a minor in Religion and Philosophy from Virginia Union University, Richmond, Virginia in 1984. Pastor Maddox is also the recipient of a Master’s Degree in Divinity from the Samuel Dewitt Proctor School of Theology, Virginia Union University in 1987. While a seminarian, Pastor Maddox was called to Pastor the Mars Hill Baptist Church in Southampton County, Virginia. In December 1988, Pastor Maddox was called and accepted the Pastorate of the Guildfield Missionary Baptist Church in Danville, Virginia. In August 1995, Pastor Maddox was called and accepted the Pastorate of the Faith Baptist Church in Baltimore, Maryland. Pastor Maddox is the 2003 recipient of a Doctor of Ministry degree from the United Baptist College and Seminary in Baltimore, Maryland. His written dissertation is entitled “Equipping the African-American Family for the 21st Century through Reflection of its Past, Examination of its Present and Preparation for Its Future. Pastor Maddox is married to the former Valorie Marie Thomas of Danville, Virginia and is the father of two sons, Brice Greggory and Joshua Kyle. 1. Developed Program Of Christian Growth and Spiritual Development for the Entire Congregation of Faith Baptist Church. The Deacons will implement the Deacon Family Ministry, which is a biblically based ministry that will provide spiritual nurturing and physical care our members and their families. A Deacon will be assigned to each member and their family who will serve the family’s needs during times of crisis as well as celebrations. We shall enhance the spirit of Christian love throughout Faith Baptist Church and strengthen our resources in providing spiritual nurturing and physical care amongst our members and their families in effort to “close the back door” of the church. We shall make it a priority to counsel, encourage and vigorously engage new members in a timely and consistent manner to become actively involved in the overall ministry of Faith Baptist Church and be actively involved within a ministry as well. 3. An organized plan of leadership training and development for Faith Baptist current leadership and future leaders stressing the understanding of concepts of what leadership is, the requirements of leadership, the commitment of leadership etc. The Leaders of the various ministries will participate and complete at least two training sessions that they may be fully equipped to provide meaningful services to each new member. The ministries will share monthly reports with more consistency with the Liaison Panel, who in turn will share the reports in their monthly meeting. Setting up a Church-wide Leadership pool is established which will allow Faith Baptist to tap its resources in-house and begin to train persons in leadership development. This would ensure that an ongoing list of persons would be available for usage in leading our church ministries Leadership turnover in our ministry will be done with careful planning so that a smooth transition will occur within the ministries. Ministry leaders will be encouraged to work together in planning large ministry efforts. 4. A developed (and promote) plant of financial giving amongst the congregants of Faith Baptist Church; Beginning with the leadership of the church. We will closely examine Faith Baptist Church’s financial resources, strengths and weaknesses to develop a practical implementation timeline that will include attainable financial goals, realistic performance measures, and reachable target dates. We will develop a financial monitoring and reporting tool that will be used by our Trustees to track progress or obstacles. We will continue to emphasize that we are a tithing church. As our congregants bring their tithes, offerings and other sacrificial gifts into the store house, those in whom (Official Board) have been entrusted to manage God’s resources pledge to be good stewards. Development of 2-3 projects for congregant participation in these areas. The Evangelism Ministry will assemble a church-wide evangelism team that will go through intensive evangelism education, witnessing education and other important aspects of evangelism. Congregants identified as having the gift of evangelism will be encouraged to participate in the Evangelism ministry as well as each ministry will be encouraged to continue to plan and implement at least two evangelism projects within their yearly ministry activities. We will seek to evangelize 500 persons during the years of 2013-2015. Evangelism efforts with biblical tracts being distributed and Sunday school classes involving the children and the men ministry were held outside at Lester Morton Apartments (in the courtyard) same Sundays in doing the summer months. A fresh look at this ministry with a renewed emphasis will be done.